Grab your baseball cap, cracker jacks, and your glove! This book will make you feel as if you are in the stands at the ballpark. Charismatic illustrations woven throughout verses of the age-old song capture the magic of our national pastime. "Katie Casey was baseball mad. She had the fever and she had it bad." Katie is a huge baseball fan and loves her hometown team, the Sluggers. Each two-page spread depicts the last inning of a championship game. Hirao has created vibrant illustrations that jump from the page. Your child will laugh in delight watching the lanky giraffe pitch to the slugging rhino. 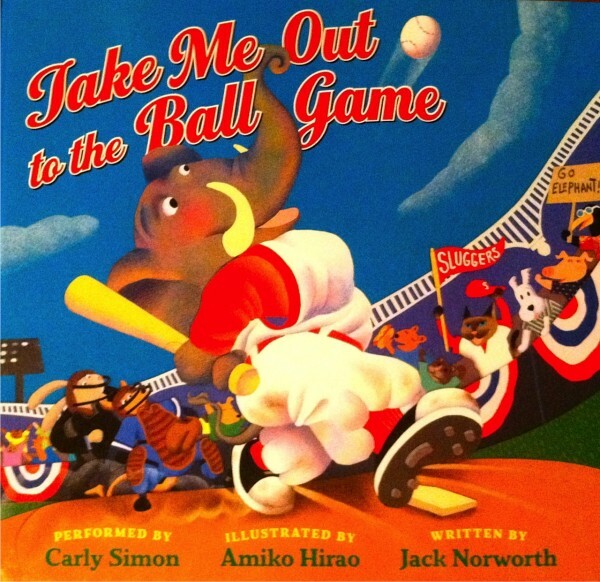 This version of Take Me Out to the Ball Game by Norworth is a home run!